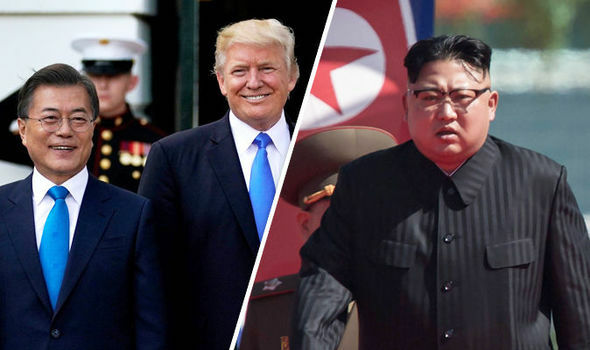 UNITED NATIONS: The United States accused North Korea on Thursday of breaching a UN sanctions cap on refined petroleum by making illicit transfers between ships at sea, according to a document seen by Reuters and which Washington submitted to Security Council members. “Our information suggests that between January 1 and May 30 of 2018, DPRK (North Korean) tankers have called in port in the DPRK at least 89 times likely to deliver refined petroleum products illicitly procured via STS (ship-to-ship) transfers,” the United States told the UN Security Council’s North Korea sanctions committee. The United States did not say which countries it believed were illicitly providing North Korea with refined petroleum. In December the 15-member Security Council capped refined petroleum product exports to North Korea at 500,000 barrels a year. The US accusation of a sanctions breach comes as Washington engages with North Korea in a bid to negotiate denuclearizing the Asian country.